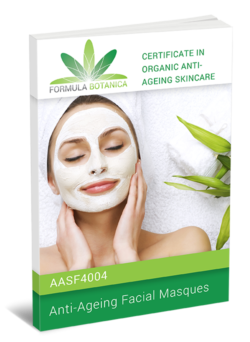 Our Certificate in Organic Anti-Ageing Skincare teaches you the science of dermal ageing and then delves into the world of cosmeceuticals and nutriceuticals for the skin. 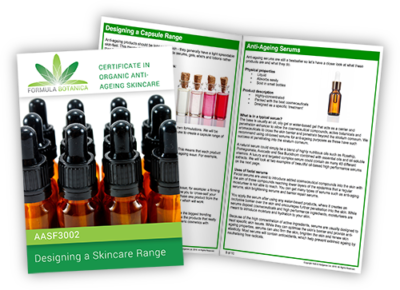 Learn how to create your own exquisite capsule range of unique anti-ageing skincare blends. 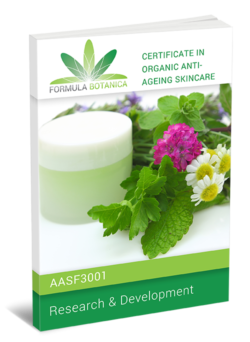 This course is suitable for people with existing skincare brands or students who have limited formulation experience. 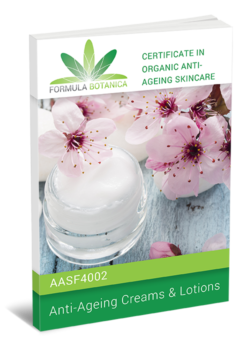 This Certificate has helped skincare entrepreneurs all around the world cater for the hottest trend in natural cosmetics: organic anti-ageing skincare. 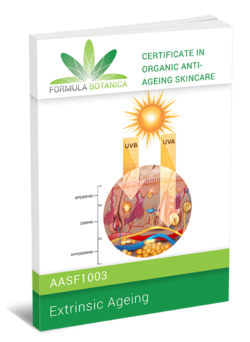 Learn how the skin ages intrinsically and extrinsically. 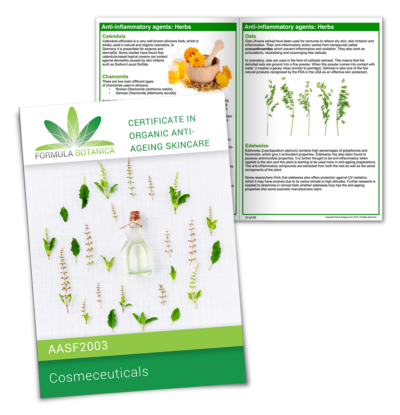 Develop a solid understanding of the science behind dermal ageing and use this knowledge to underpin your high performance anti-ageing formulations. 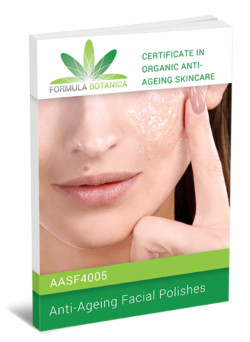 Cover natural solutions to dermal ageing. 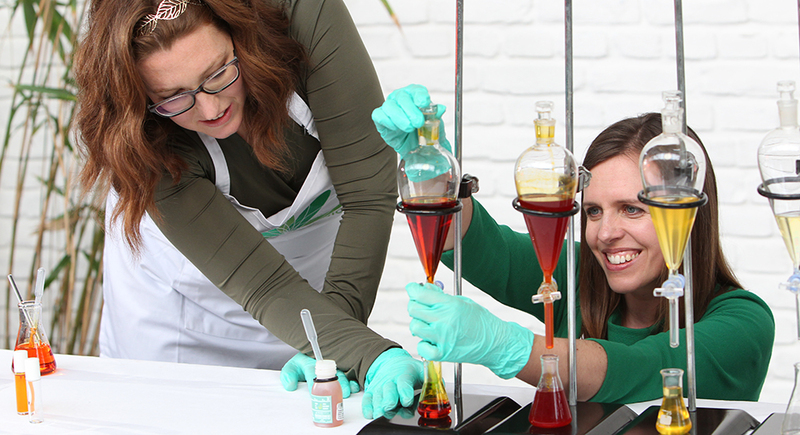 Become an expert formulator by researching your ingredients in detail. 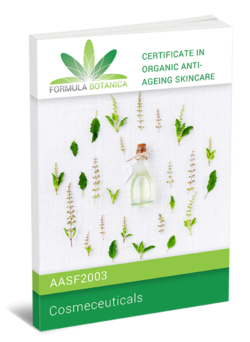 Discover the different high performance anti-ageing ingredients derived from plants and learn how to apply them in your skincare designs. 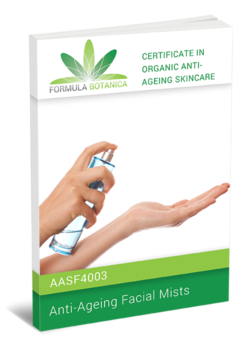 Research the different cosmeceuticals and nutriceuticals available for organic skincare formulations. 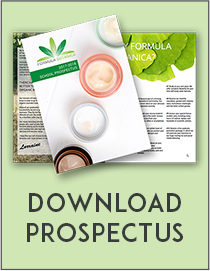 Learn the 5 steps to creating a perfect skincare formulation. 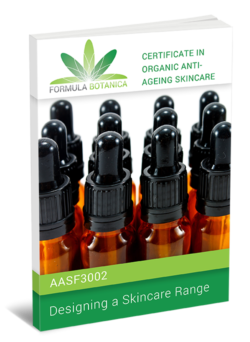 Create your own anti-ageing serums, oils, moisturisers, creams, lotions, elixirs, hydrating mists, facial masques and facial polishes. 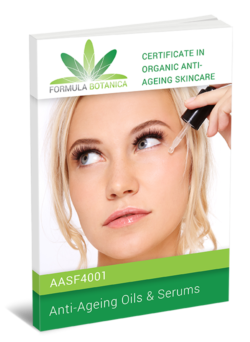 Set yourself apart from other formulators by formulating high performance anti-ageing skincare that actually works. Your skin is the largest organ of the body. It serves many important physiological functions and is our main ‘interface’ between us and the rest of society. This is why the ageing of the skin is so important, why ageing is at the forefront of dermatological research and why the anti-ageing cosmetic industry is booming worldwide. In this Module we look at the factors that cause the ageing of our skin – both inside and out. It is important to understand the mechanisms of ageing when designing high performance products as you want to be able to target the areas of the skin that matter the most. 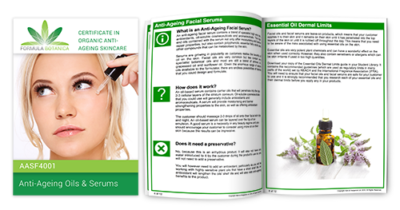 Learn the main extrinsic ageing factors which affect the skin. 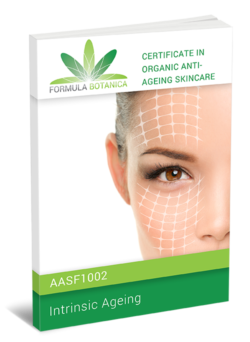 Anti-ageing skincare consists of a combination of active high performance ingredients and foundation ingredients, which create a base that acts as a carrier for the nutritious and therapeutic actives. 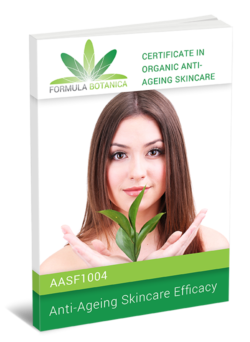 In this module we cover all the anti-ageing skincare ingredients available to you as an organic skincare formulator. We’ll research the main high performance plant-derived cosmeceuticals and nutriceuticals for organic cosmetics. Understand the shift in demographics thanks to a global ageing population. Review the ageing concerns of mature and younger consumers. Study consumer needs of anti-ageing skincare. Learn about the trend towards positive ageing. 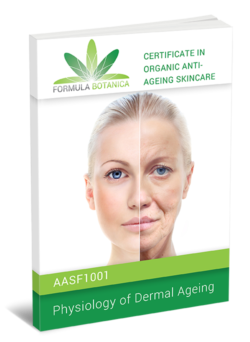 Now you’ve gained lots of knowledge of how the skin ages and what kinds of ingredients to use in your anti-ageing skincare products, it’s time to look at how to actual structure and develop a formula. This is the groundwork you need before moving on to actually heading into your ‘lab’ and putting a product together for the first time. Formulation is both a science and an art so it helps to use your logical brain and your creativity to inform the process. In this module, we’ll teach you the logical steps to create your own unique formula from scratch. Now that you’ve studied the science of ageing, high performance skincare ingredients and formulation skills, it’s time to put the theory into practice and start formulating your own unique anti-ageing products. 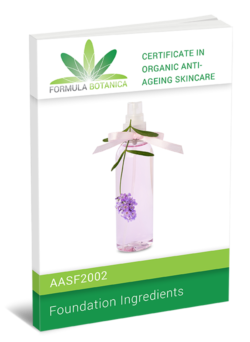 In this video-led lesson, you will learn how to create organic anti-ageing facial oils, serums, elixirs, hydrating mists, creams, lotions, facial masques and facial polishes. Make the most exquisite high performance products for your own anti-ageing skincare range. 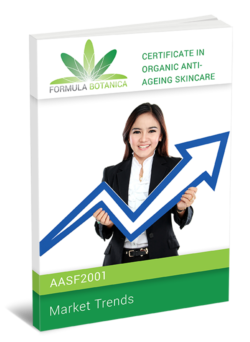 Enrol for our Certificate in Organic Anti-Ageing Skincare to create exquisite high performance products for the hottest trend in cosmetics: anti-ageing cosmeceuticals. Term times. 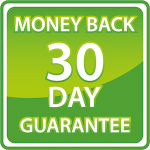 Self-paced training where you have up to 1 year to complete your course. 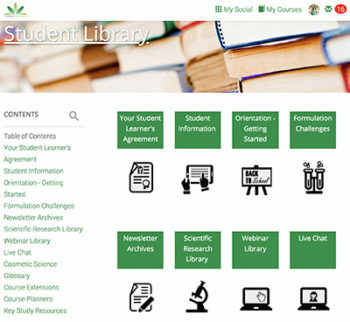 Projects, activities and reflexive learning. All modules ends with a short test.